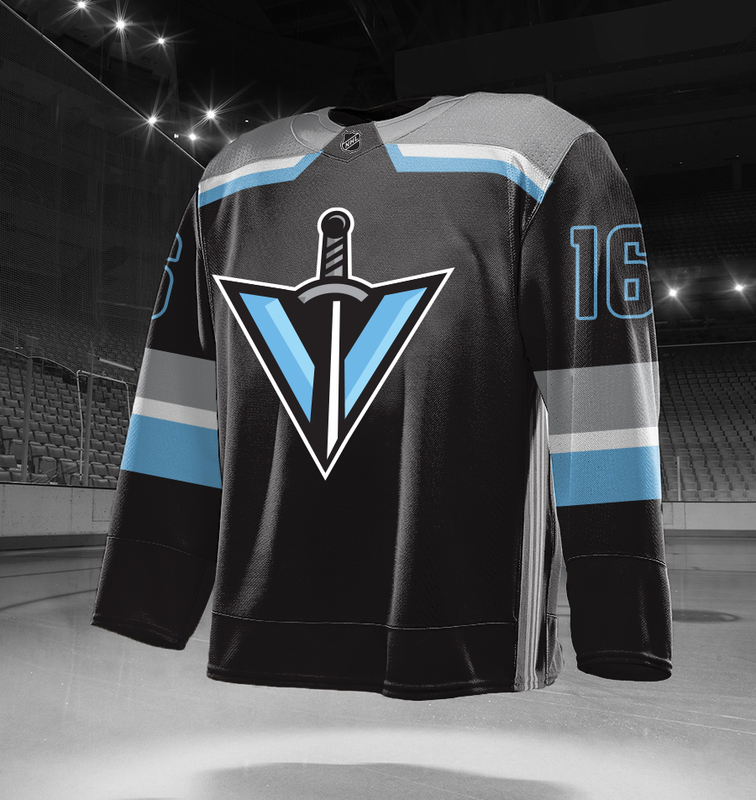 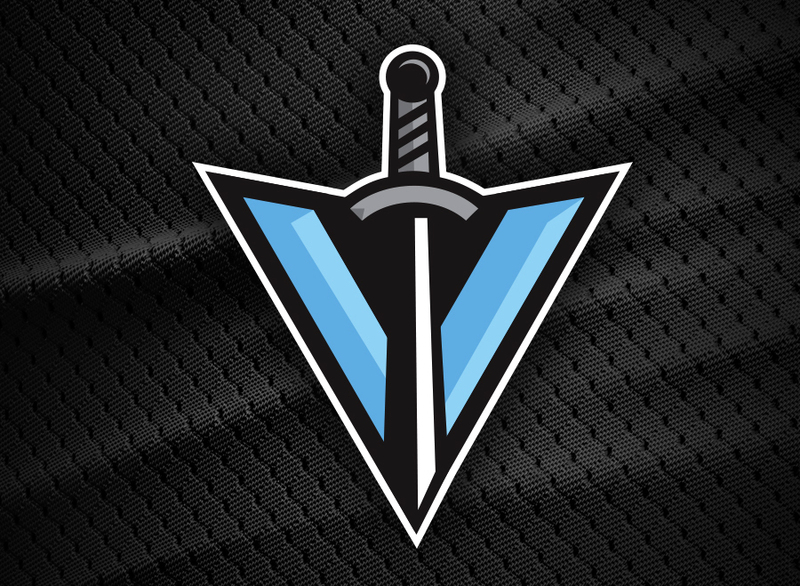 For the primary logo and I wanted to avoid using an image of an actual Knight and use the V for Vegas. 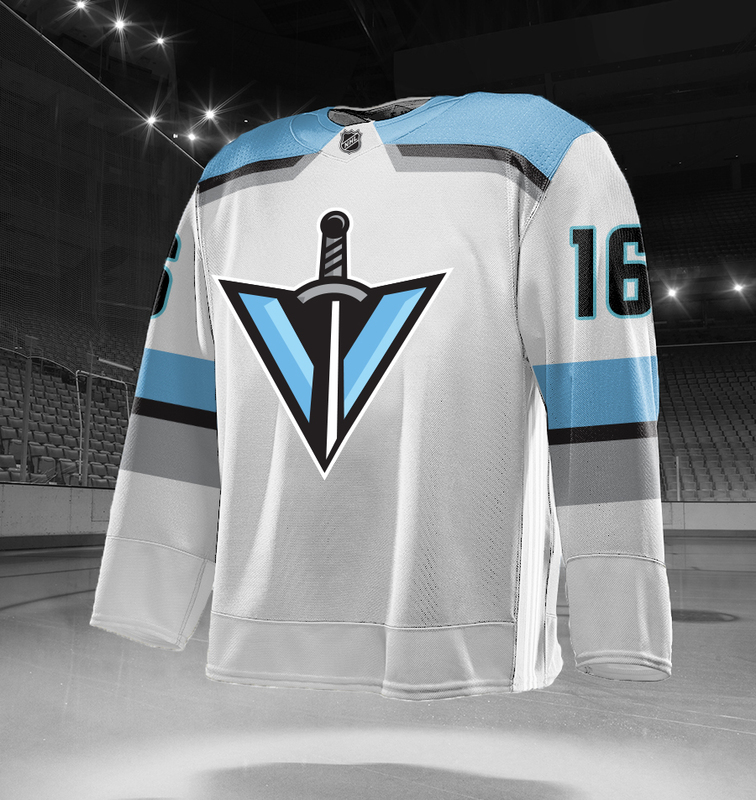 I wanted it to be consistent with the other NHL logos that for the most part don’t use a word mark in their logos, just a symbol. 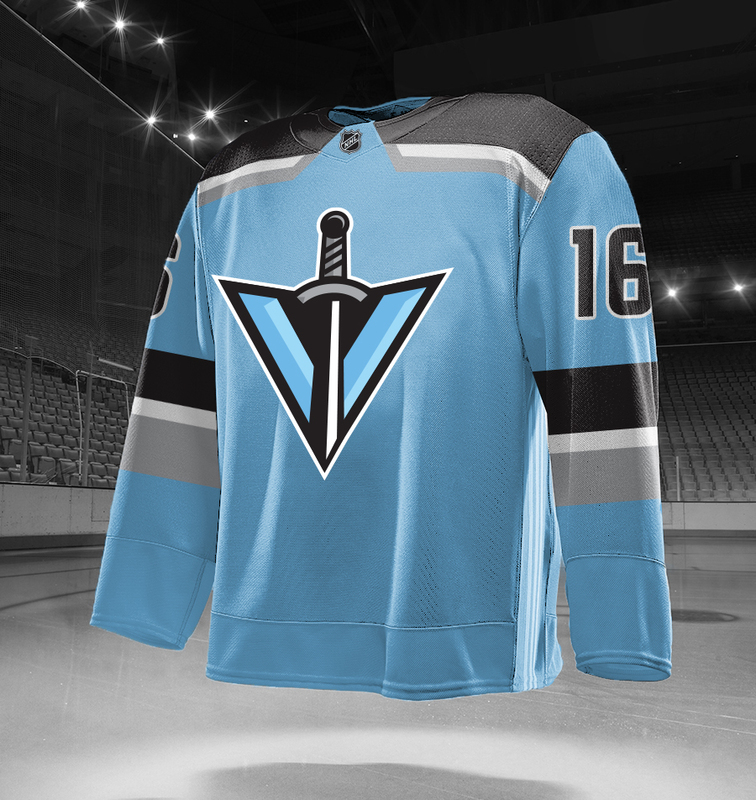 The neon blue used is meant to represent a neon colour you would find on the Vegas strip and the sword represents the “Knight”.